BEREA — Baker Mayfield has assorted shiny trophies, plaques and awards from his college days. Probably more than he realizes. So far, his biggest NFL honor can’t be hung or placed on a shelf. 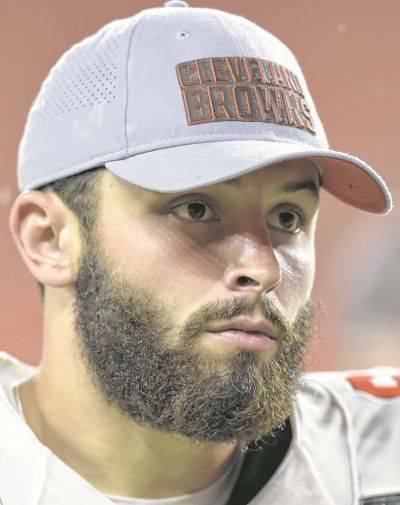 Mayfield was humbled by compliments made toward him by Saints star quarterback Drew Brees, who believes the Browns rookie is destined for fame. On Wednesday, Brees gushed when talking about Mayfield. Mayfield was moved by the praise. Mayfield hopes to meet Brees for the first time Sunday as the Browns (0-0-1) visit the Saints (0-1), who lost their home opener 48-40 to Tampa Bay last week. For now, Mayfield is Cleveland’s No. 2 quarterback, waiting his turn behind starter Tyrod Taylor. The Heisman Trophy winner grew up in Texas patterning his game after Brees, who entered the league with far less fanfare and minimal expectations following a storied career at Purdue. 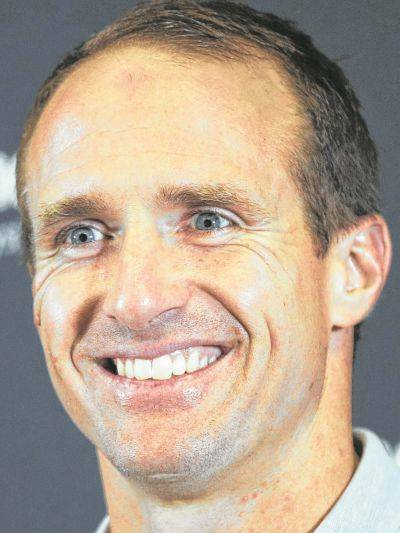 The knock on Brees coming out of college was that he was too short to succeed in the pro game. He’d be swallowed in the pocket and there was no way he’d be able to see receivers, never mind complete passes. Well, all Brees has done on the way to numerous Pro Bowls and a Super Bowl title, is become one of just three quarterbacks to surpass 70,000 yards passing. The Hall of Fame awaits. And while Mayfield appreciated Brees’ comments, they’ll only be words if he doesn’t produce. Brees’ remarks also caught the attention of Browns wide receiver Jarvis Landry. Of course, Mayfield can’t do much about building a legacy on the sideline. The Browns are taking a slow-is-better approach with Mayfield, whom they believe is their QB of the future — not the present. Barring an injury, Mayfield won’t play this week against the Saints. And unless something changes dramatically soon, the Browns intend to have Mayfield sharpen his skills during practice until they feel he’s ready to start. That’s been the plan since March, when Cleveland traded for Taylor, who led Buffalo to the playoffs last season. Browns coach Hue Jackson said he won’t be swayed to change direction by the early success the New York Jets have had with Sam Darnold, the No. 3 overall pick. Darnold shook off throwing an interception that was returned for a TD on his first attempt and completed 16 of 21 passes for 192 yards and two TDs in a rout of Detroit on Monday night. “I like our young quarterback a lot, but it didn’t change my mind on anything,” Jackson said. “Baker’s been really good in practice. I think he’s still growing. The thing I love, he’s so engaged in what we’re doing. That is a fist bump to him because I’m sure it’s tough. Taylor’s 15 of 40 performance last week against Pittsburgh sparked some debate as to whether the Browns were handling their QB situation — and Mayfield — correctly.